CEO and Co-Founder of Alphabet’s Chronicle inaugurates the Nabil Bustros and Family Distinguished Lecture Series with enlightening presentation. The teams at X, said Gillett, are constantly reminded not to be too caught up with the solutions that they create but instead to “fall in love with the problems” and focus on how to fix them. Dean Ladki spoke of AKSOB’s dedication to providing its students with opportunities to learn from top local, regional and international business executives. President Jabbra spoke at length about Gillett’s impressive track record in positions of leadership. Gillett’s thought-provoking presentation prompted a barrage of questions from attendees. 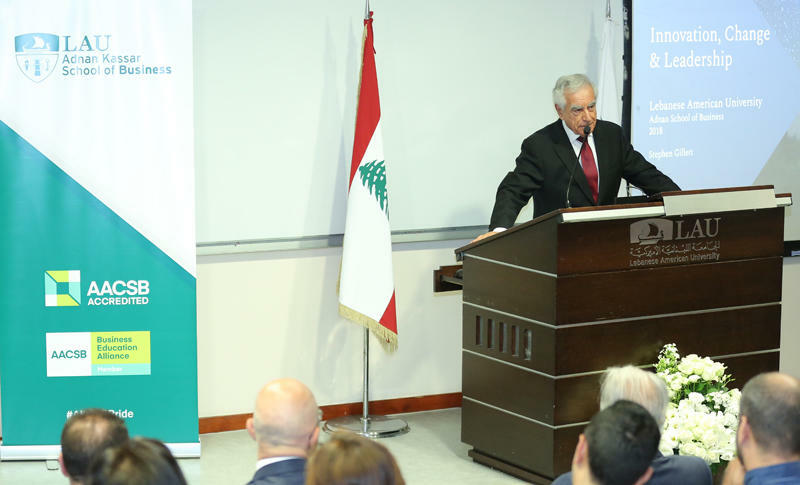 On Monday, June 25, the Adnan Kassar School of Business (AKSOB) inaugurated the Nabil Bustros and Family Distinguished Lecture Series, following a generous donation to LAU, by hosting Stephen Gillett, CEO and co-founder of Alphabet’s Chronicle. 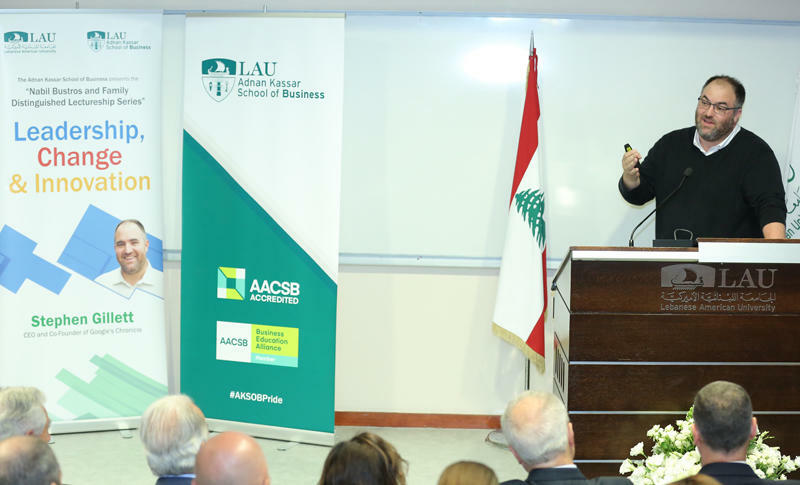 The inaugural workshop drew more than 150 students, alumni, faculty, and leaders of the LAU and business community ­– including Nabil Bustros – for the dynamic discussion and reception that followed. Dean of AKSOB Dr. Said Ladki revealed that the idea took root five years ago, when he was attending an international conference. 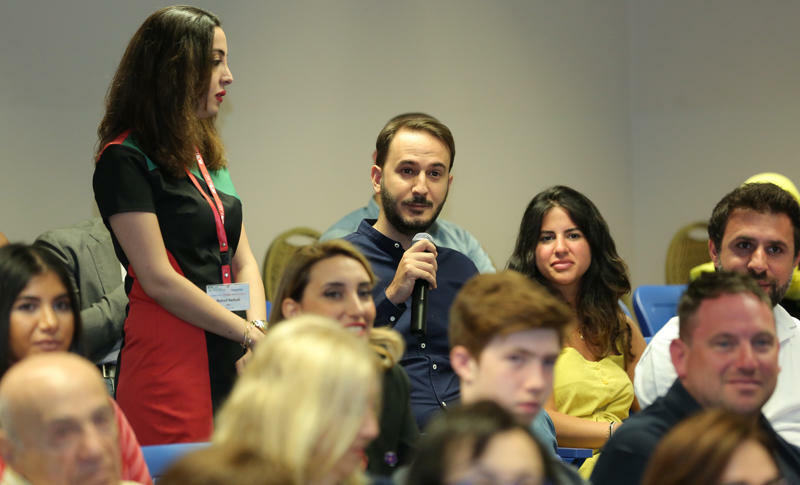 He came back with a strong motivation to boost student interaction with local, regional and international business executives, who would impart practical advice from their areas of expertise. Since, AKSOB has hosted more local and international speakers, and increased student visits to various industries for them to learn from top-notch leaders such as former CEO of Tata Motors Carl-Peter Forster and Chairman of Middle East Airlines Mohamad El Hout. 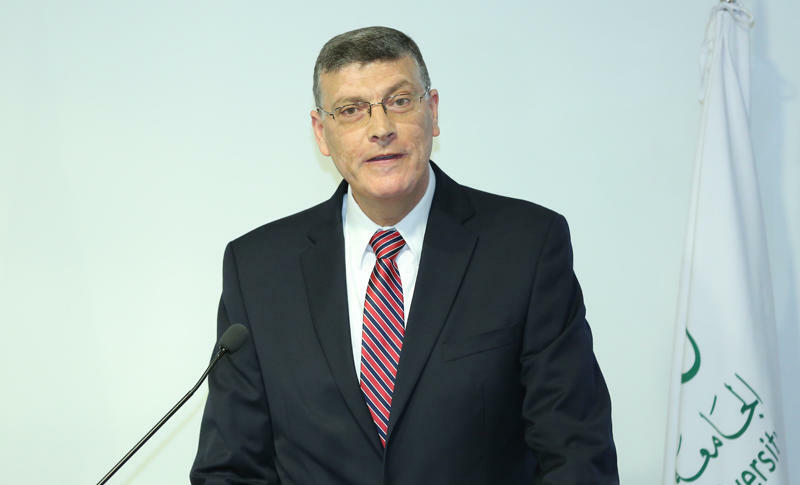 In his welcome address, LAU President Dr. Joseph G. Jabbra shared the story of Elias Gallad, a man from Al Mina near Tripoli in North Lebanon, who “wanted to defy the water in order to succeed in life, just like any Lebanese who lives in a coastal city,” and left to establish himself and start a family in the US after World War II. He then revealed that Stephen Gillett is in fact a member of the Gallad family – which was changed to Gillett – and is of Lebanese ancestry. Dr. Jabbra went on to describe Gillett’s track record, listing the positions he has held prior to joining Chronicle from Google, where he was an executive-in-residence at Google Ventures (GV), and continues to be an active GV advisor. His leadership spans enterprise software, retail and consumer technology, and his work history includes COO of Symantec, President of Digital at Best Buy, Chief Information Officer at Starbucks and General Manager of Digital Ventures. “I want to meet this person,” joked Gillett who was humbled by Dr. Jabbra’s introduction, when he first took to the podium at the lecture hall. He then clarified to attendees the nature of his work at Alphabet’s X and how they select innovative ideas and bring them to life. “At X, we invent and launch breakthrough technology that can make the world a radically better place,” explained Gillett, adding that their inventions have to address problems that impact a large community, and provide radical solutions that are commercially sustainable. While the world is witnessing many impressive inventions, the teams at X are constantly reminded not to be too caught up with the solutions that they create but instead to “fall in love with the problems” and focus on how to fix them. Gillett gave several examples of noteworthy current projects that were recently made public by X, such as Wings, drones specialized to deliver packages and minimize the need for terrestrial shipment delivery, as well as portable, drone-based power generators, called Makani, which have the potential to solve problems of power cuts. He also spoke extensively about cybersecurity and why it matters for all. “Cybercrime is the greatest transfer of economic wealth in history,” he declared toward the end of the session, where he touched on the gravity of the problem and the dire need for a radical solution. Finally, he concluded with a call for a change of mindset as the key to realizing change across governments, businesses and universities. After his presentation, Gillett was met with numerous questions from attendees who were interested to know more about X’s not-yet-public projects as well as the possibility of bringing such technology to Lebanon to improve infrastructure and quality of life. Following the Q&A, Gillett was presented with an honorary trophy from LAU, presented to him by President Jabbra, Dr. Ladki, Provost George K. Najjar and Mr. Bustros.